As we discussed in last week’s post, not all order fulfillment is created equal. Shipping retail can be complex and costly if not handled appropriately. 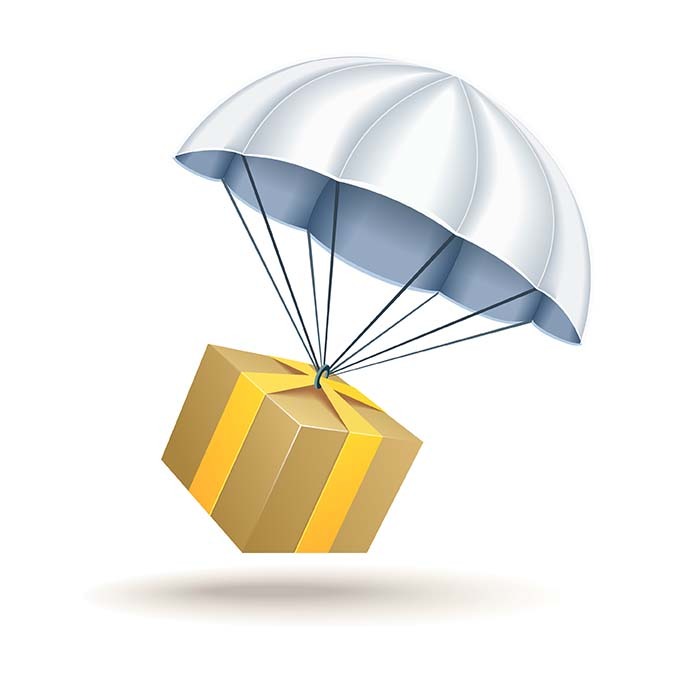 One of those methods, Drop Shipping, continues to gain popularity. With its process being arduous and closely managed by the Retailer, we thought we would take a close look at this hybrid fulfillment method of shipment in hopes to help those in need of understanding it better. Who is it exactly that processes Drop Ship Order Fulfillment? The Marketer of the product, commonly through a fulfillment partner, drop ships orders direct to the consumer on behalf of the Retailer. What’s the difference between the Retailer doing the shipping and the marketer doing the shipping? When a Retailer ships the order to a consumer, the Retailer’s Distribution Center fulfills that order. The fulfillment process is self-contained. In a Drop Ship model, part one of the above process remains in that the Retailer is processing the order. But instead of handling the order themselves, the Retailer communicates the order to the Marketer of the product (or fulfillment partner) for fulfillment and shipment to the consumer. If you are a Retailer, why Drop Ship? Retail stores can have hundreds, if not thousands of Stock Keeping Units (SKUs) and each of these items are supported by the Retailer’s distribution system. Many Retailers want the best of both worlds – a large selection of items, but without the need to provide logistics support on them all. This includes the space in the warehouse, advanced order management systems, labor and pick and pack expertise. Drop shipping is also a great solution with larger/heavier items. It’s harder for the Retailer to physically handle these themselves. Retailers realize that including the higher fees in handling within a heavier product’s pricing is not feasible. For heavier products, think large exercise equipment, mattresses or large appliances. The solution? Outsource through drop shipping at a fulfillment center that can handle it efficiently. With Direct to Consumer (D2C), the offer can change both quickly and frequently. Most Retailers don’t have the facilities, management and expertise to perform these unique functions. Outsourced fulfillment centers are particularly skillful at providing this service, cost effectively. Finally, there are products that require special handling instructions. These would include food products and items needing temperature control. Retailers may not be equipped to handle the certifications or storage of these specialty products. What Conditions Call for a Drop Ship Method? First and foremost, know that it’s the Retailer’s decision on whether to handle the product or have it Drop-Shipped. However, the marketer of the product can plead a case with the Retailer. In addition to the examples listed in the previous section, there are several situations that might call for a Drop Ship method. If a Retailer chooses to self-fulfill, they will utilize a formula for calculating the price of shipping and handling. Suppose the price for S&H is $10 for a product. (Note: For the purpose of this discussion, it doesn’t matter whether a free shipping offer exists or not) If the marketer knows their fulfillment operation can perform that function for $7.00, then drop shipping will save money. The $3.00 savings drops to somebody’s bottom line, or creates a lower price to the consumer making the product offer more compelling. If the marketer is located closer to the source of the product, overall freight costs could be lower. This can again, squeeze cost out of the system. For example, the product is produced in Georgia and the marketer’s fulfillment operation is there also. If the Retailer has a Distribution Center in California, it would make more sense for the product to be shipped from the Marketer’s Georgia-based fulfillment operation. If a campaign anticipates high volume and offers change quickly and require value-added support services such as kitting and assembly, the Marketer’s fulfillment operation can handle it. Retailers typically are not set up to perform these types of functions. Finally, the Marketer, through their fulfillment operation, has the sophistication to handle the drop shipping process. Not every fulfillment operation can handle the intricacies of Drop Ship, but if a Marketer has a fulfillment partner that can – they should consider it! Why is Drop Shipping So Complicated? Each Retailer brings its own specific instructions for shipping. Included in that is the branding of the fulfillment process – which could include branded boxes or packing slips. The packing list, invoice and return label must be customized so that the package looks like the retailer shipped it. Next, the retailer sends the order to the Marketer/fulfillment operation via an Electronic Data Interchange. As you will recall, the cost and complexity associated with EDI can be high. The cost of non-compliance with Drop Ship? Another thing mentioned in the past article regarding retail shipments is how retailers can penalize the marketer for non-compliance in shipping to DCs and stores. There are also penalties that apply to Drop Shipping, but those are different. Drop Shipping rules and guidelines for Retailers include penalties for shipments sent late, inaccurately, or even with incorrect shipping carrier or method. In some cases, the marketer via their fulfillment partner is required by the Retailer to determine the most cost effective shipping method that adheres to a complex set of rules, i.e. delivery in a certain number of days and don’t incur carrier surcharge fees. Sophisticated shipping software is needed to comply with these complex parameters. Then, the retailer demands an accounting/explanation from the fulfillment center regarding the shipping method selected. If the retailer finds an acceptable alternative, at a lower cost, they will bill the difference to the marketer. Ouch! The Tools for Drop Ship Success. When it comes to Drop Shipping, Sophisticated Shipping Software, Experience and a true appreciation of the complexities of Retail Distribution are a great start. Sophisticated Shipping Software can be expensive and complex. Experience in the Drop Ship arena is critical. Be sure to know what you’re doing before you set sail! Know and appreciate the complexities of retail shipping. An experienced fulfillment center can be a good resource. They have the know-how, tools and the physical space to handle the task. With these skills in place, you should be well on your way to mastering the art of the Drop Ship in no time!